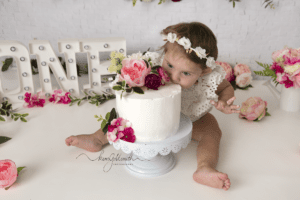 I’ve had pleasure to capture 2 of this family’s 4 children with newborn, sitter session and then their first birthday! 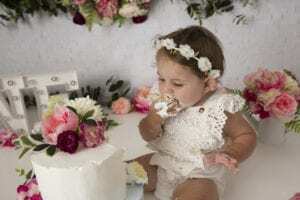 After trying to rip apart her special ONE cake topper, Emily was straight into wanting to EAT her cake and why use hands when you can just BITE into all that squishy frosting and cake! After all the messy fun and we see Emily has had enough playing the session wraps up with a nice warm bubble bath. So time for a few more special memories captured while all the frosting and cake is washed off. Please contact me for more information if interested in booking a session.